As a ballerina, I know how important fitness is for dancers. Just like a football player needs to be in peak physical shape to perform well, so do dancers. While we might workout on a regular basis, another thing we should also be doing is yoga. Not only is yoga a great way to relax, but it is also a fantastic way to strengthen your body and increase your flexibility. As a ballerina, as well as being in top physical shape, I also have to be as strong and as flexible as possible, so yoga is the ideal form of exercise for me. While most dance classes focus on body awareness, including precision, yoga takes this even further. Most yoga classes are much slower than dance classes which allows you to focus on your accuracy more than you normally would do. Dance is all about perfecting various poses; yoga teaches you how to do that. As you have more time to focus on getting your body into various positions, your body awareness increases. To ensure that you can move easily, while doing yoga, make sure to wear proper yoga clothes. This should include yoga leggings, a loose top, and a sports bra. If you have a look online, you can find all of these items, including a great range of yoga sports bras. As I already mentioned above, yoga is an ideal activity for boosting your strength and flexibility. Many of the standing poses that are used in yoga help to develop the same muscles that are used for dancing. Practicing these poses can help you to strengthen muscles that we weak before, improving how well you can hold positions. As well as using yoga to develop leg muscles, you can also use it to increase your upper body strength. If you do a form of dance that includes lifts and things like that, having a good amount of upper body strength is crucial. While us dancers are fairly, flexible, we all have certain areas that we would like to improve. Yoga positions that focus on these areas will help you to become more flexible. This will allow you to have more movement in that area, and should help to perfect any dance poses you are struggling with. While dancing is a lot of fun, it isn’t the most relaxing of activities. This is especially true when you are struggling to perfect a new dance position. That’s why, taking up yoga is a good idea as it will give you some time to relax and de-stress. Yoga encourages your mind and body to relax, so if you are feeling stressed, it’s the ideal activity. No matter what you are worrying about, practicing yoga will help, because it will relax your mind, causing your worries disappear. 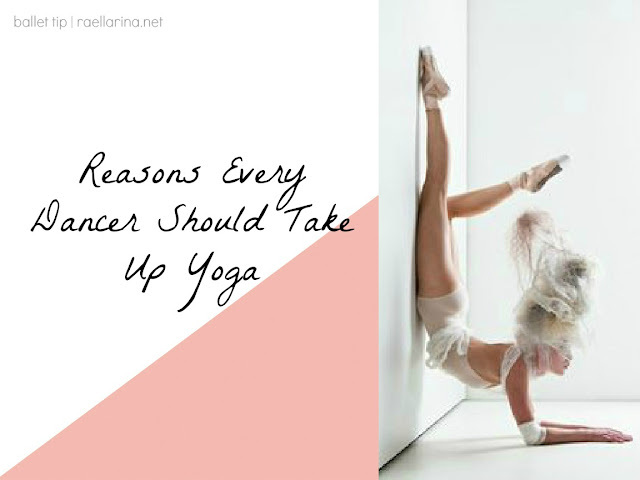 There are so many reasons to take up yoga; these are just a few of them. I feel like I should definitely get into yoga. Final year of university is so stressful! Any tips on how to get through it? It's one work out I enjoy the most because it's more than just physical. It involves even the mind and the soul.